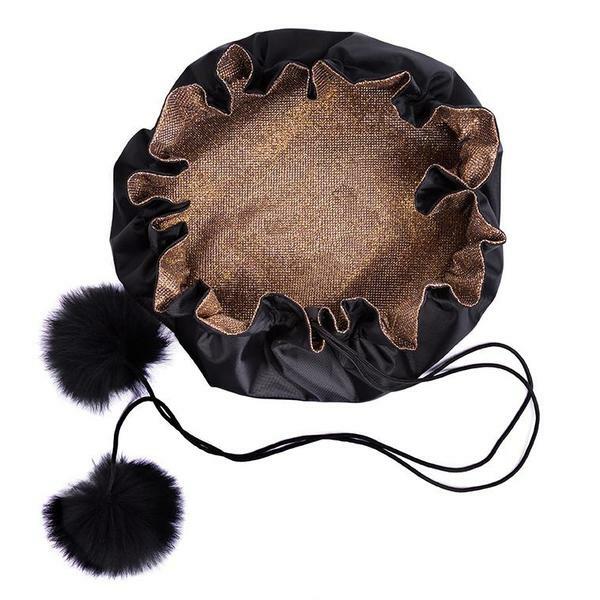 Our gorgeous new Special Edition Make-up Bag features a sparkly finish and beautifully soft pom poms. 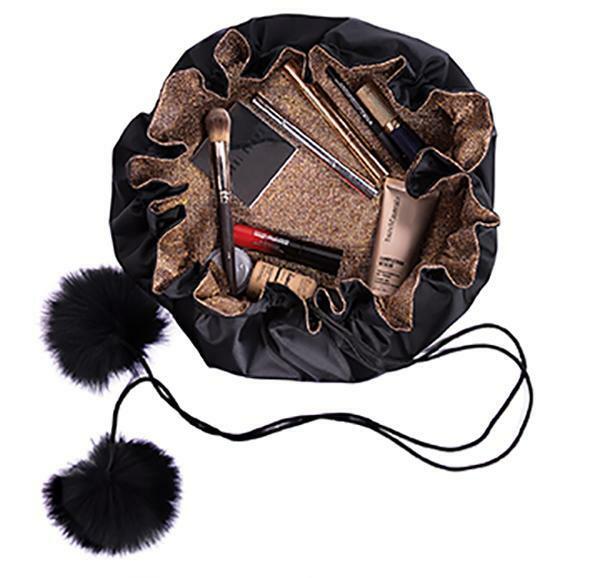 As the bag arrives folded inside its sparkly pouch, any creases can be ironed out of the make-up bag (please ensure that you iron the bag on the smooth black side of the make-up bag and not the outer sparkly side). 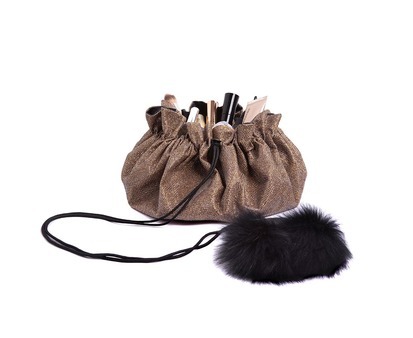 Closure of the bag softens once the bag has been used a few times - it can feel a little stiff initially. There may be some initial loss of glitter from the outer side of the make-up bag.